The late Victorian and early Edwardian period of fashion heralded an unprecedented passion for all things lacey, embroidered and beribboned. 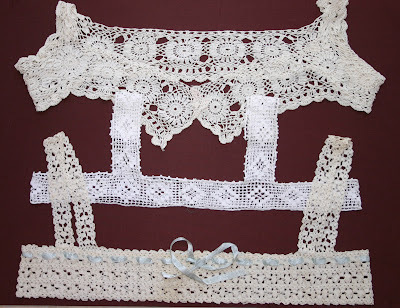 It was not only the upper class that could enjoy luxuries, but the emerging middle class demanded such embellishments for both their clothing and for their home. 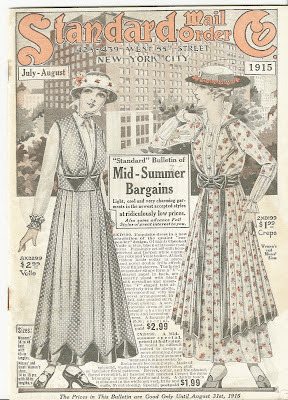 Huge hats decorated with French ribbon flowers and veils, gowns of silk with tiers of ruffles,and silk gloves were no longer exclusively for the rich. 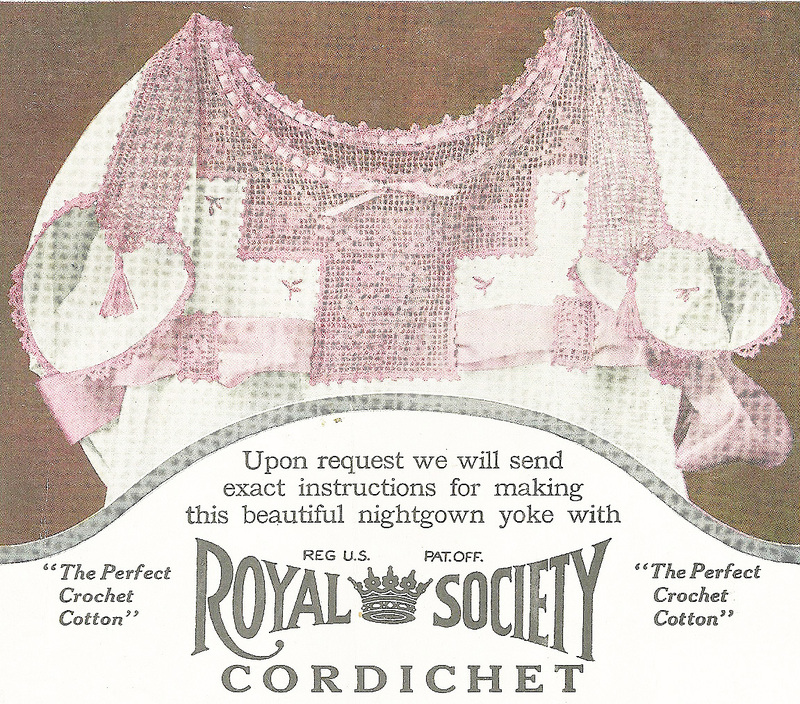 Less opulent (and less costly) garments and household furnishings were being manufactured for an entirely new market. 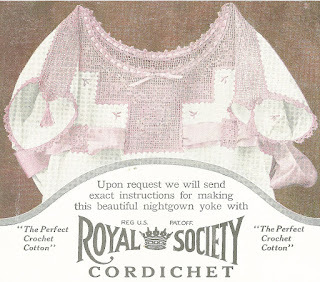 Shortly after the turn of the century the life style of the middle class family changed dramatically. While the wife and mother was still expected to remain at home nurturing the family and bringing culture and grace to the environment, many modern innovations had made this task less time consuming. 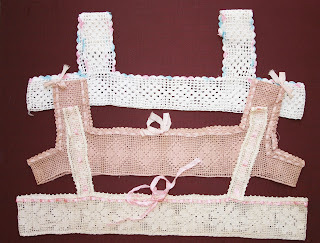 The invention of the sewing machine years earlier, the telephone, the washing machine, not to mention the vacuum cleaner and refrigerator gave women more time to pursue the activities that before only wealthy women with servants could enjoy. 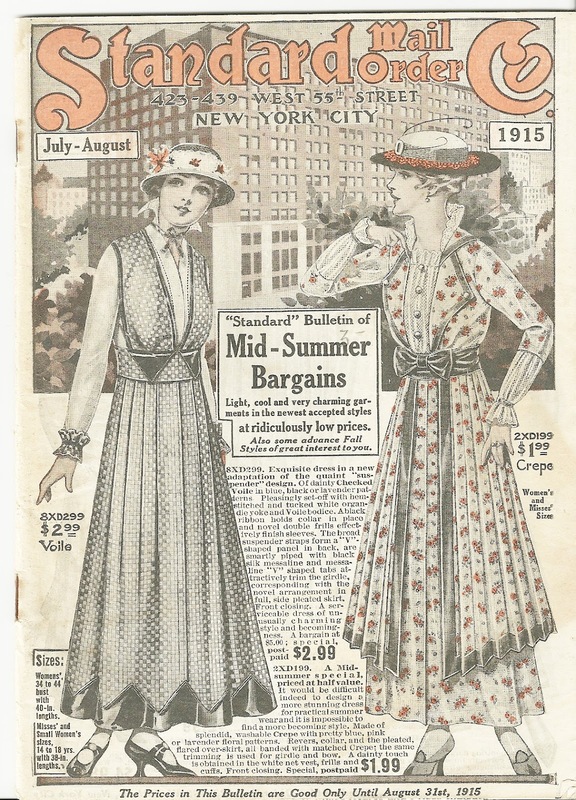 The popularity of mail-order catalogs, coming right to your door, brought the latest fashion trends. 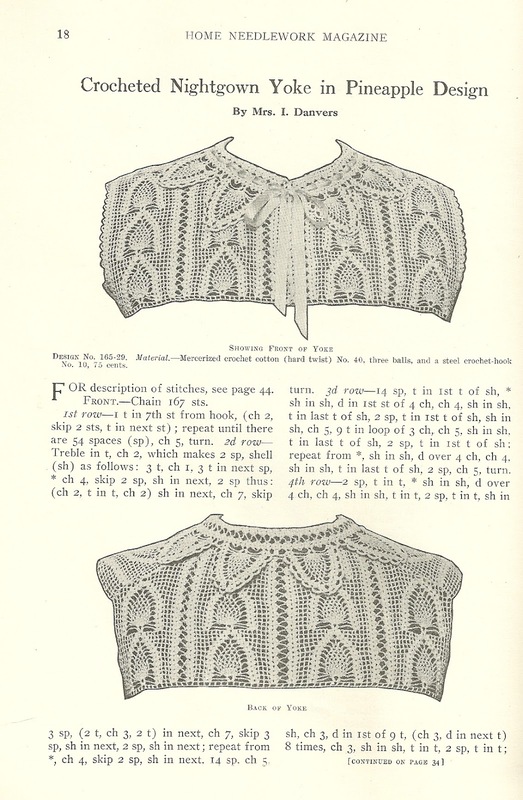 If you could not afford to replace your wardrobe, you could always update your look by embellishing your attire at home with the help of patterns and instructions through magazine advertisements and pattern books. 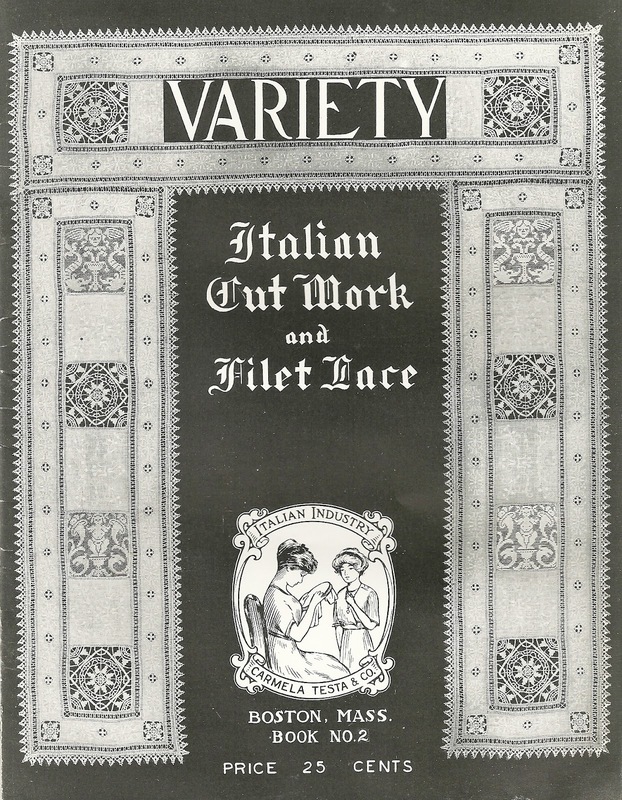 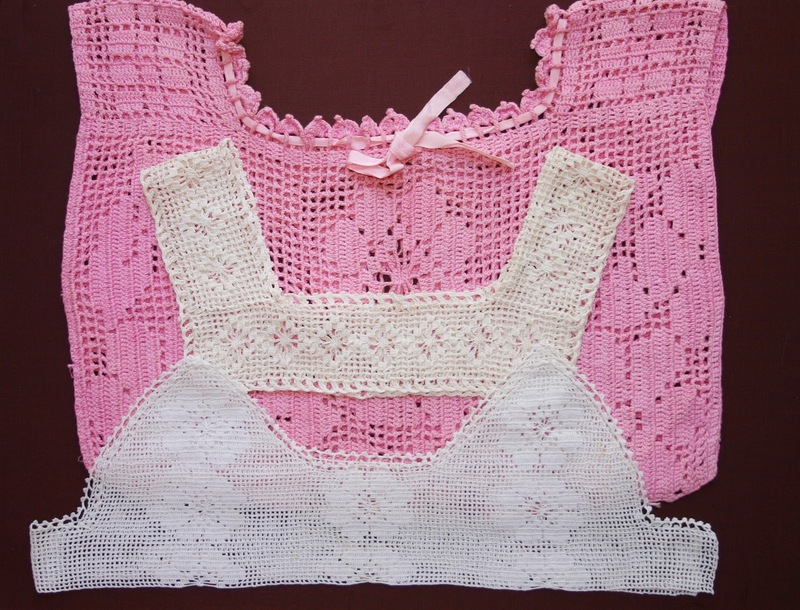 One very popular activity was making yokes and bodices for corset covers, and other undergarments and lacey neckline trim for nightwear. 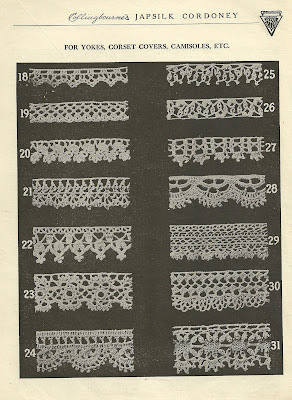 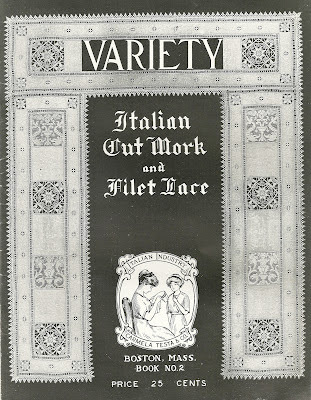 Most often crochet technique was used although there were many knitted lace and tatted yokes produced. 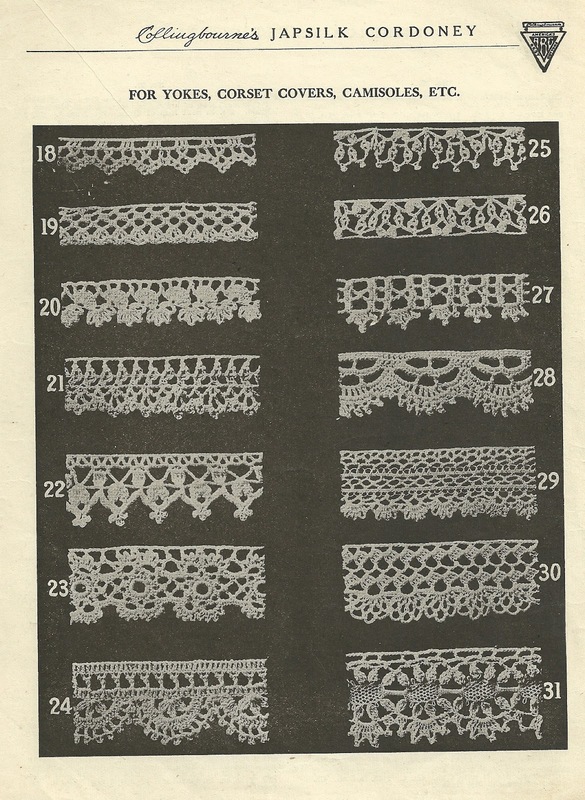 One advantage to these trimmings was that, unlike machine made lace featured on ready-to-wear garments, these yokes were actually quite sturdy, made of cotton thread and often outlasted the garment upon which they were sewn (probably several garments as these can still be found today in vintage shops). 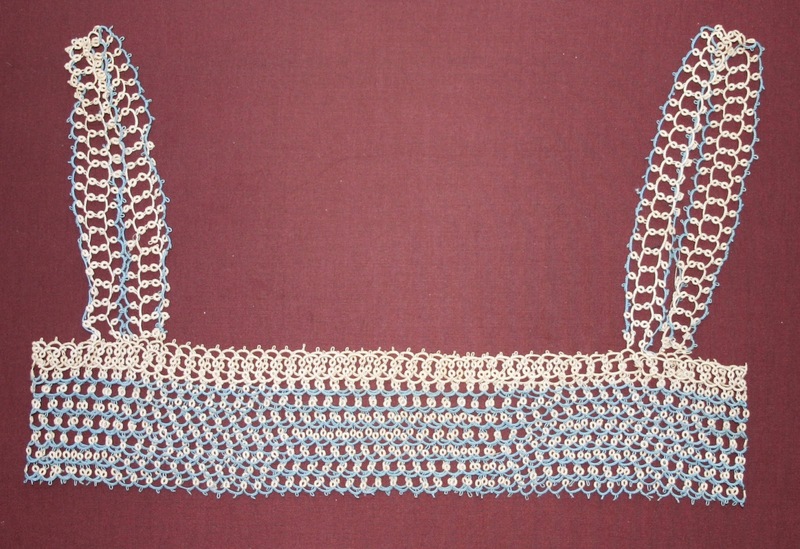 Often silk ribbons were woven through the crochet or knitted netting and these could be changed to update the look. 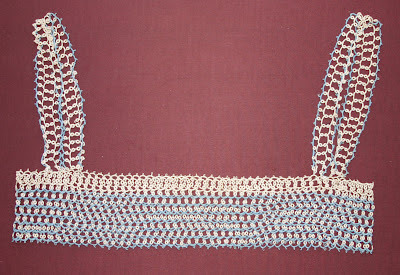 Filet crochet features a grid pattern created by combining solid and open meshes with chain and double crochet stitches.